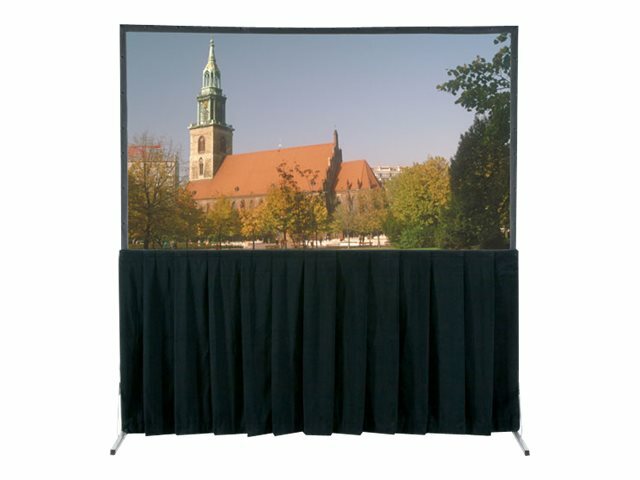 Da-Lite Ultra Velour Fast-Fold Deluxe Skirt Drapery, 92" x 144"
Da-Lite's Fast-Fold screens give professional presenters the edge on the road. Fast-Fold screens are made to take the rigors of constant set up and tear down yet retain their good looks and performance for years. They set up easily without tools for the ultimate in convenience.